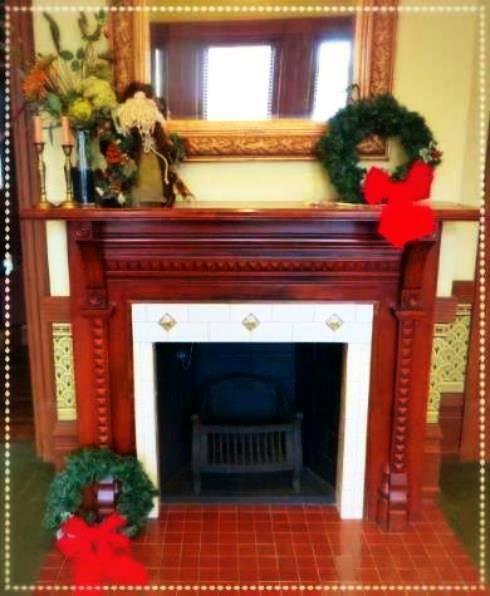 Spark warm holiday memories with our fireplace safety tips! From roasting chestnuts à la Mel Tormé to conspiring in a winter wonderland, one would be hard-pressed to name a more paradigmatic, archetypal holiday tradition than snuggling up with loved ones around a blazing hearth. There are few things quite as quintessential – and perhaps none as cozy – as gathering with friends and family around a fireplace, be it roaring with flames or barely glowing with embers. For Clevelanders, the love affair with fire around the holiday season comes as no surprise. As the nights grow colder, fires can serve as a welcomed break from the long, dark nights of the winter months, and an inviting excuse for an evening in. However, while fireplaces are a handsome addition to holiday festivities – the role of precaution in their usage cannot be overstated. 1.) A fireplace is not a furnace! Do not use the fireplace as a primary source of heat for the house, and do not have a fire burning for more than five consecutive hours. 2.) Always make sure that the fire is completely out before leaving the house or retiring for the evening. Be mindful that the coals can remain hot for up to three days after extinguishing a fire. 3.) Every house – regardless of whether or not it contains a fireplace – should have smoke and carbon monoxide detectors present on every level of the home, especially near the bedrooms. Make sure to check the detectors monthly and to change the batteries at least one per year! Additionally, every home should have a multi-purpose fire extinguisher easily accessible. 4.) Does your home have a chronic draft? Make sure that the damper or flue is closed when the fireplace is not in use! A closed flue will stop your heat – and your money – from escaping out of your chimney. Keep the flue open, however, anytime there is a fire burning, or if hot ashes and embers are burning – this can be checked by looking in the chimney with a flashlight and a mirror. 5.) Check that the chimney is clear by lighting a match within the fireplace and blowing it out. If the smoke does not travel up the chimney and exit the home, there is a blockage present and you should contact a professional chimney sweep. 6.) Only burn dry, cured, well-aged wood – hardwoods such as sugar maple, beech, white oak, and hickory burn longest. Using more porous woods, such as spruce and white pine, requires more wood to be added to the fire more often. 7.) Use artificial log starters sparingly. They should only be used to begin a fire, as they burn hot and unevenly; there should only be one log starter in the fire at all times, and an artificial log should never be added to a fire that is already burning. As log starters burn hotter than wood, using multiple may cause the metal within the fireplace to melt! To prevent flare-ups, never poke an artificial log. 8.) Refrain from burning holiday refuse, including giftwrap, packaging, bows, and boxes, as they may release toxins and chemicals into the home, which compromises air quality and corrodes the fireplace vent and chimney. Holiday greenery should not be burned, as it produces smoke and soot, which builds-up inside the chimney, forcing carbon monoxide into the home. 9.) Always open the glass fireplace doors when a fire is burning! The doors are intended to keep the draft out when the fireplace is not in use rather than as safety doors. When exposed to heat the glass may shatter or cause a severe burn risk. Bear in mind that the glass may remain hot even after the fire is out! 10.) Only burn a few logs at a time, starting small and slowly adding more wood as the fire grows hotter. Fires that are burned too hot may overheat the wall or roofing materials and crack or melt the chimney. 11.) To safely put out a fire, spread out the logs with a wrought-iron fireplace poker and use a fireplace shovel to bury the logs. Apply a thin layer of baking soda to extinguish any remaining embers. Once the fire is out, dispose of the ashes in a metal container with a metal lid – preferably steel, which should be kept on a concrete surface outside of the home and away from all combustible materials. Do leave an inch of ash in the fireplace, however – it will act an insulator, allowing future coals to heat up more quickly and retain heat longer! Remember that embers can remain hot for as many as three days after a fire, and to open the damper when shoveling ashes. 12.) Have a professional chimney sweep give the chimney and hearth a deep clean annually – if you burn less than 3 cords of wood per year – or biannually if you burn 3 or more. This will deter creosote buildup, a sticky, highly flammable organic material which is released when wood is burned, lingering in chimneys. The chimney sweep will also clean out soot – though it appears easy to brush off, soot gradually accumulates in layers, making it challenging to remove, which blocks the fireplace. Even if it is not due for a cleaning, the chimney and hearth should be examined by a professional at least once per calendar year. While a chimney may look clean, it is difficult to determine whether or not animal nests, organic material, or other blockages are present, which may prevent smoke from escaping and force carbon monoxide into the home. Similarly, the removal of any tree limbs that encroach upon the chimney is necessary to safely use one’s fireplace. As a precautionary measure, it is recommended that a chimney cap be installed at the top of the chimney. The cap provides a number of benefits, including the prevention of water and other elements from entering the home and causing water damage, and reducing downdrafts. Further, a chimney cap with mesh thwarts animals from getting trapped or nesting in the chimney. Caps contain side vents to facilitate smoke escaping, and are often combined with a spark arrestor, an aptly-named piece which halts the emission of flammable debris, such as embers and sparks. When choosing a cap, give preference to stainless steel over a galvanized metal cap, which may rust more easily. A chimney sweep will be able to provide the cap, which ranges in price from $50 – $200. Additionally, a chimney sweep should be called to check for cracks in the structure of the chimney, loose bricks, and missing mortar before the first fire of the season. The chimney liner should be surveyed for any signs of deterioration and the damper should be inspected, as poor-sealing dampers allow for heat loss in the home. While fire safety and fireplace care may seem overwhelming, it does not have to be! The staff of the Heritage Home Program encourages you to call with any question you might have. If you are concerned about the stability or usability of your chimney, fireplace, or their internal mechanisms, please contact the HHP staff to schedule a site visit. The Heritage Home Program maintains an extensive contractor database – if you would like a chimney sweep, repair referral, or are interested in installing a chimney cap, the HHP staff would be happy to point you to a reputable contractor in the area. Though the Heritage Home loan cannot be used to install a new fireplace, funding is available to repair fireplaces and chimneys already in existence. We hope you have very merry holidays, and we would love to make them just a bit more bright!